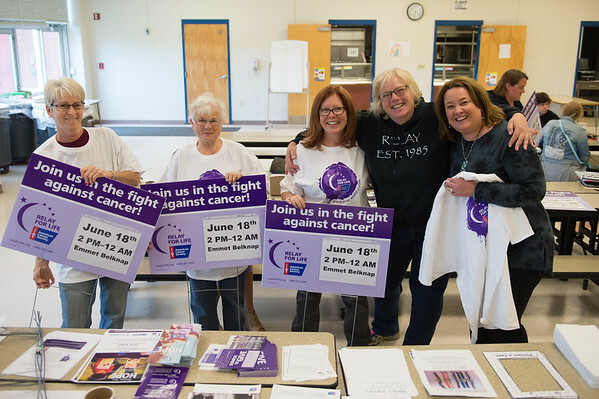 JOED VIERA/STAFF PHOTOGRAPHER-Lockport, NY-Relay For Life members are busy getting the word out about Saturday’s big event in Lockport. Assembling signs for the community are Wendy Milliman, Nancy Middaugh, Meg Wager, originator of the Barker Relay Darlene Lutz and Roberta Callaghan. The 2016 RFL shirts are given to anyone raising $100 or more for the ACS.